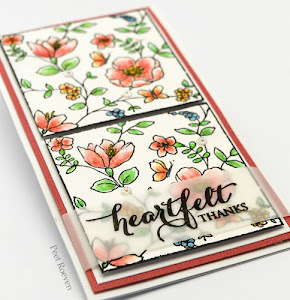 Enchanted Garden & Ooh La La(heart+sentiment) transparent stampsets, Tagged Creative Die, Hearts White ep403 embossed paper from Penny Black. 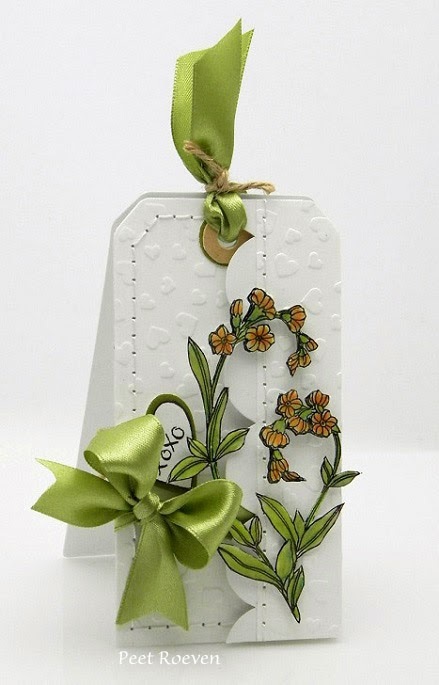 Derwent Coloursoft pencils, Glossy Accents & Green Satin Ribbon. 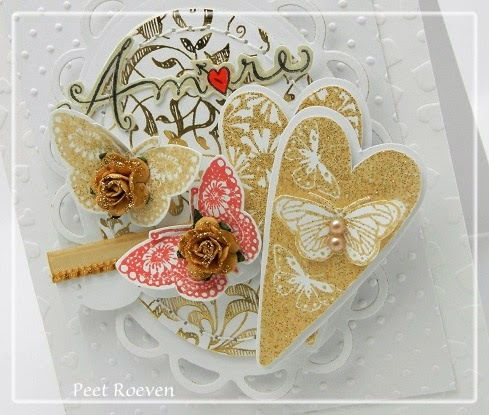 Jumbo Love & From the Heart (sentiment) clear stamps, Heart String & Tagged Creative Dies, Madison paperpad, Hearts White ep403 (embossed paper), Script Foil Vellum 60-012 from Penny Black. 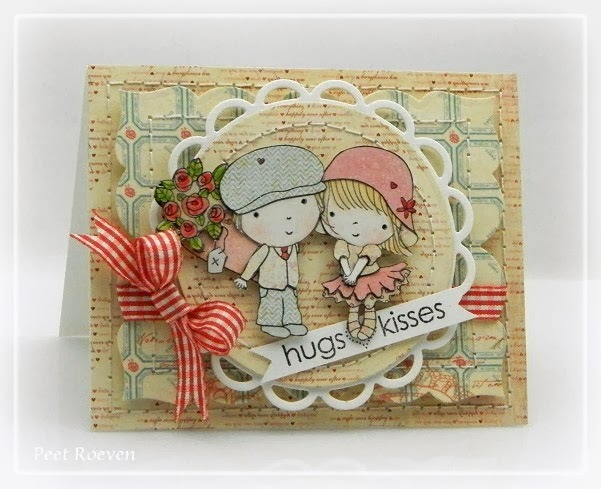 Red Felt, Organza Ribbon, Spellbinders Circles, Martha Stewart border punch. 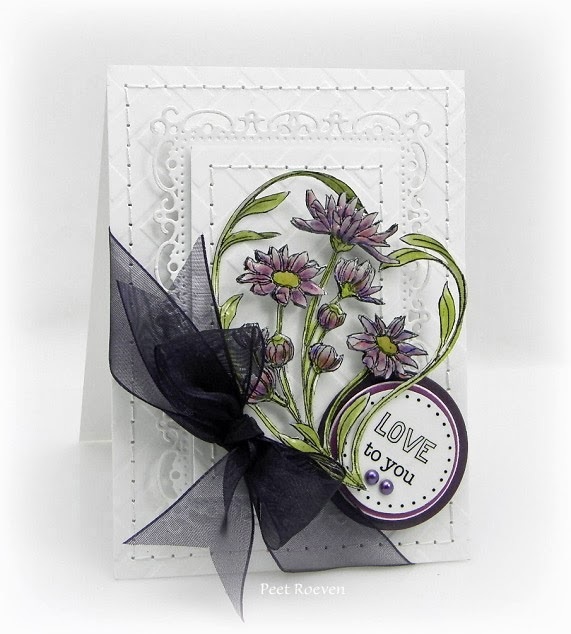 Enchanted Garden transparent stamp & Lattice White ep402 embossed paper from Penny Black. 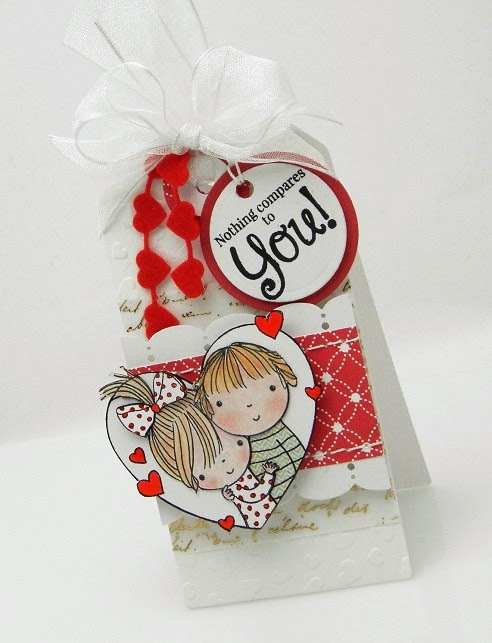 Special Delivery Wood mounted rubber stamp & Love Expressions Creative Die from Penny Black. 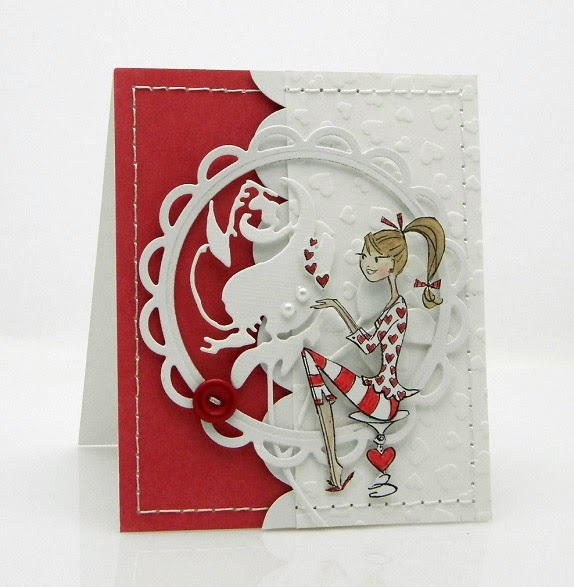 "Mix & Match"Papers & Hearts White ep403 (embossed paper). 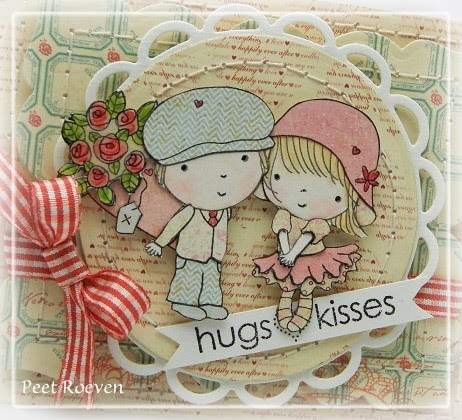 Papers: Hearts White ep403 (embossed paper), Script Foil Vellum 60-012. 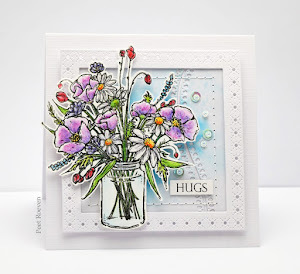 Derwent Coloursoft pencils, Glossy Accents, Cuttlebug Swiss Dots embossing folder, Ribbon. 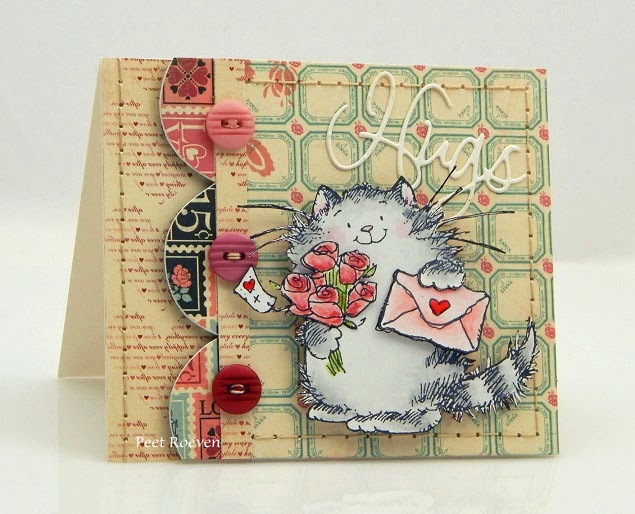 Here's another card using Penny Black's new Sending Hugs collection. 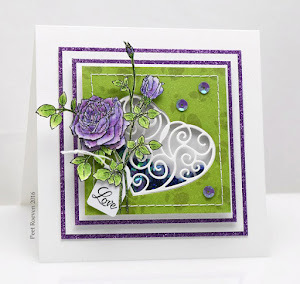 For today's card I used, Love Sign slapsick/cling Stamp & Love Expressions Creative Die. 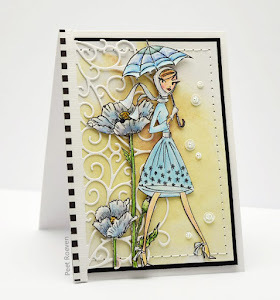 Skin and hair were coloured with derwent coloursoft pencils. 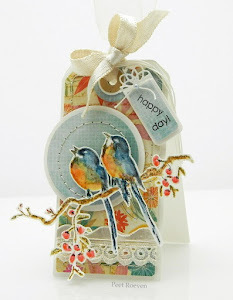 Clothes & balloon were paper pieced. 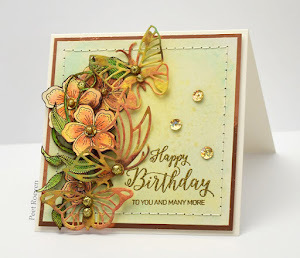 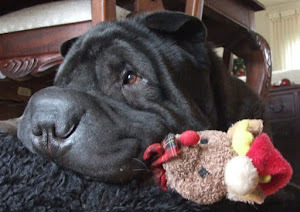 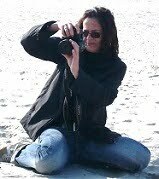 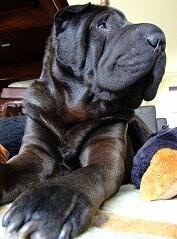 Visit the Penny Black blog for the latest challenge details. 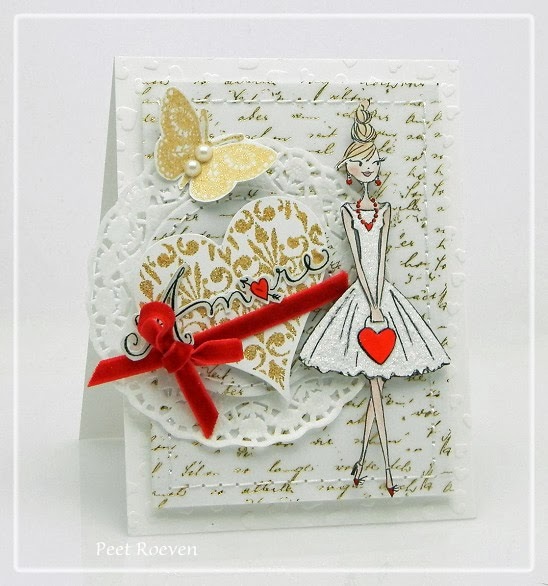 other materials: BoBunny Paper, Martha Stewart Punch, Lace Ribbon, and Pearls. 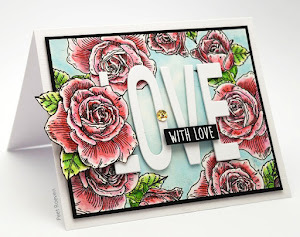 Stamps: ooh la la & Heart Swatches transparent sets. 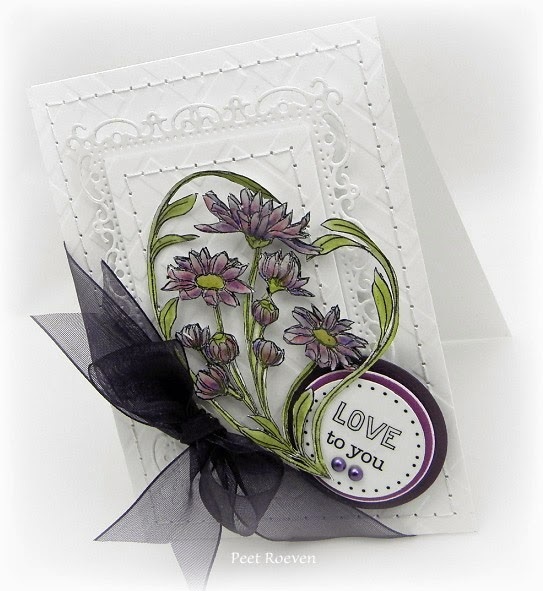 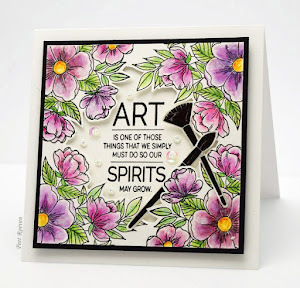 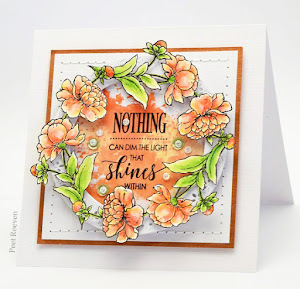 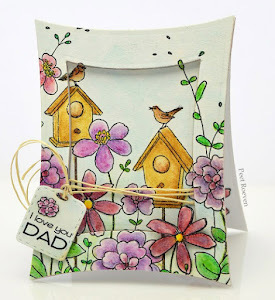 Visit the Penny Black blog for the challenge details and chance to win stamps! 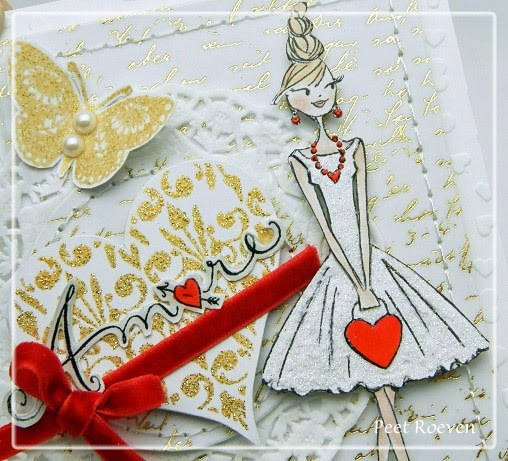 also used: Versamark Watermark Ink and Gold Sparkle Embossing Powder, White Glitter Powder, Glossy Accents, Doily, Pearls & Velvet Ribbon. 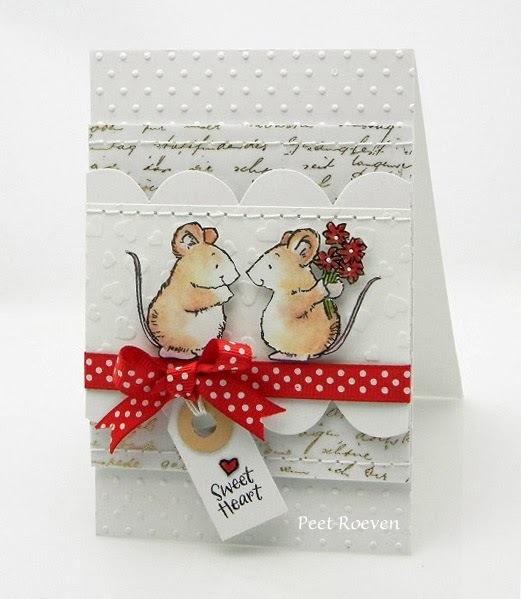 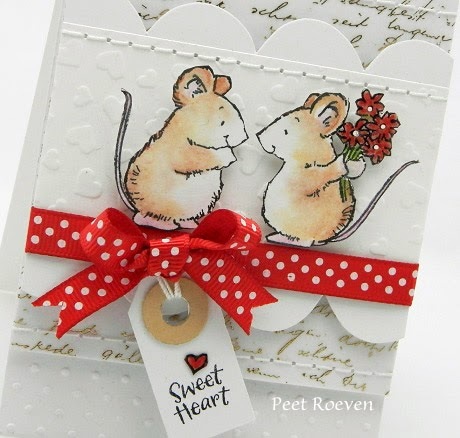 For this card was used Penny Black's Heart Swatches & Ooh La La (sentiment) stamp sets. 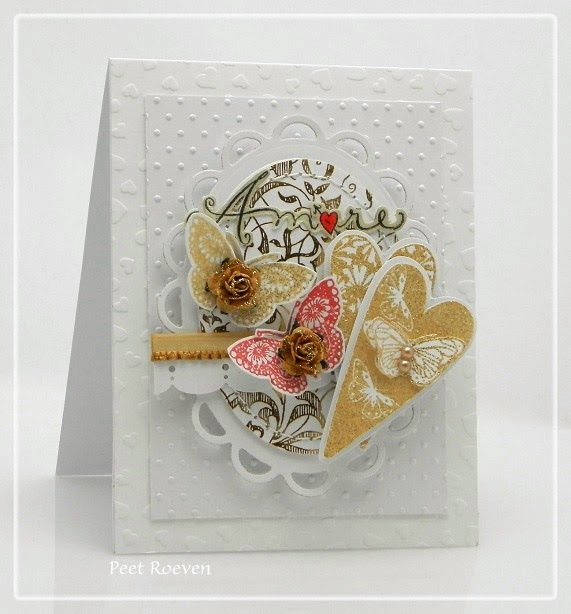 Hearts white embossed paper ep403 & Filigree Foil White 60-006. 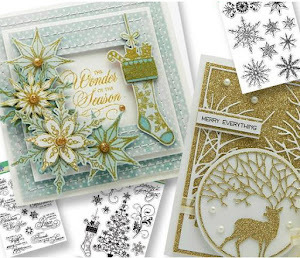 Versamark Watermark Ink and Gold Sparkle Embossing Powder, Barn Door Distress Ink, Martha Stewart Punch, Spellbinders Dies, Paper flowers, Glitter, Ribbon & Pearls. 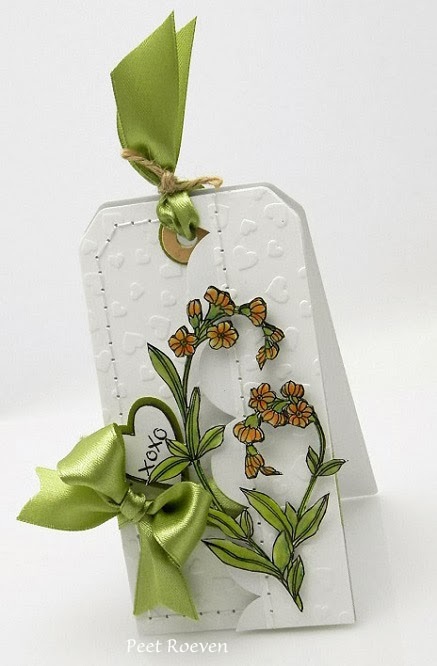 Love Letters paper from Bo Bunny, Spellbinders Dies, Glossy Accents & Ribbon.